General Operative, Dawson Installations - Aplica pe eJobs! 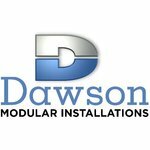 Dawson Installations are a leading Cleanroom and Data Centre Installation company here in Ireland. Here at Dawson we understand our employees are key to us delivering our projects on time and on budget so looking after our employees is our number 1 priority.